Born: Seoul, South Korea, 1973. 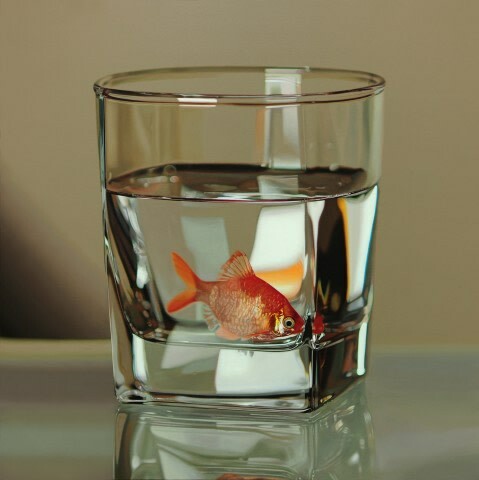 Work: Young-Sung Kim produces hyperreal paintings of contrasting subject matters to illustrate the differences between the living and the material. In an economically driven world where we place value on the material, Young-Sung Kim challenges society values being firmly rooted in commerce. 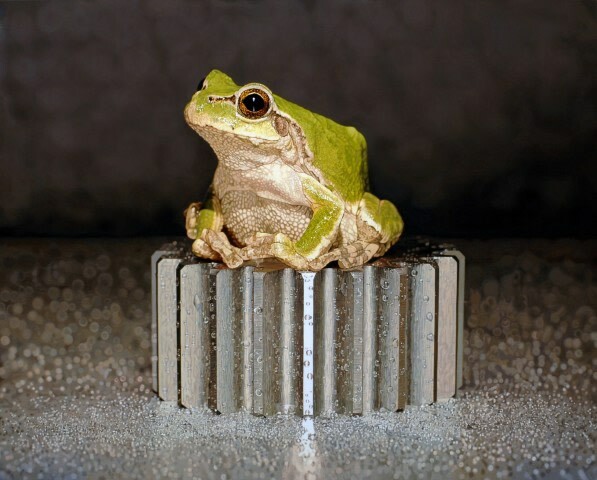 Since the early 2000s Young-Sung Kim has concentrated his exploration of life on small living creatures such as snails, frogs and goldfish. 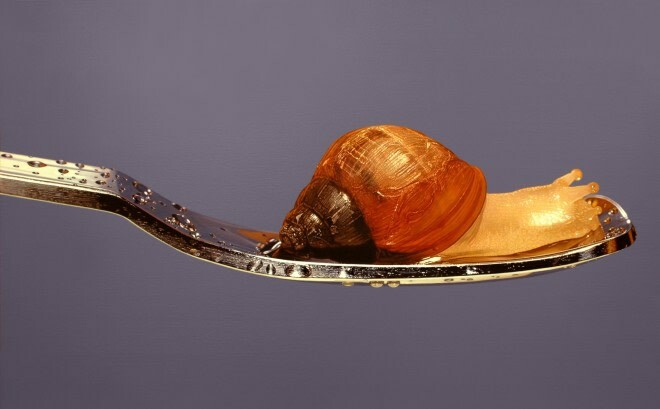 Many of his paintings feature these species resting on small man-made objects. While his work has gone through a remarkable transformation from his early deconstructive installations to hyper realistic paintings, the concept of “nothing, life, object” has been consistently upheld. Kim uses this to consider the importance of life in a situation where artificial objects coexist with life forms. In his latest works, exhibited at Plus One Gallery, small wild creatures are transferred onto cutlery, kitchenware and industrial equipment where they are forced to coexist. The fabric, glass and metal objects show their physical properties through shine and reflection. 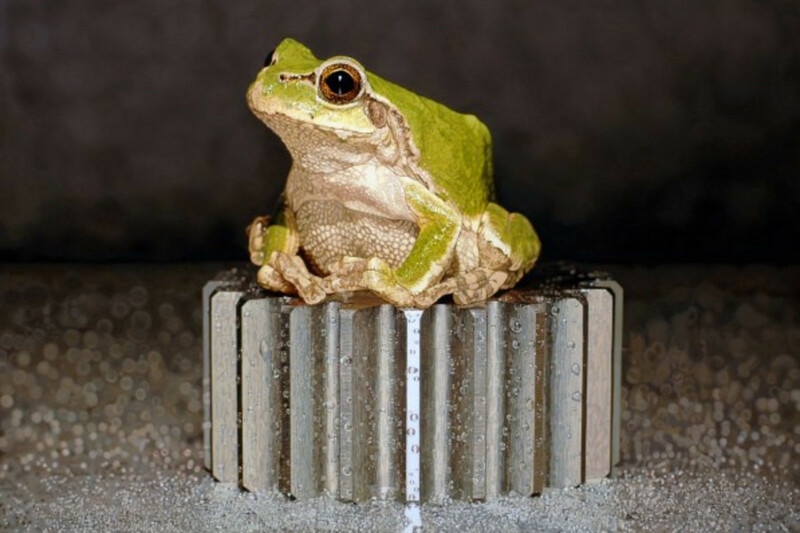 The coexistence of objects representing life and object, such as a frog and a metal spoon, analyse the desolation of modern society thus revealing humanity’s negligence of life towards other living things. Animals exist in the same environment as humans but are viewed in a lower hierarchy, often as food or decorative elements. Kim maintains that the animals in his paintings are representative of today’s society where humans seem to be living happy, stable lives, but are in fact adapting to survive in a confined space that is completely exposed to others.